The Best shampoo for eczema 2019 has been written thanks to the number of questions we have recently received from our readers who wanted help to find a shampoo that doesn’t make your head itch. There’s nothing worse than a red, sore and itchy scalp, it’s so frustrating and if scratched can lead to infection and a serious eczema flare-up. However, my son still needs to be careful which shampoo he uses for his eczema. We all know what eczema is, so in this blog, we’ll cut straight to the point and tell you our TOP 5 SHAMPOOS FOR ECZEMA 2019. The results and products have been selected from a grand total of 204 years of treating eczema in our family. So as you can imagine we have tried A LOT OF ECZEMA SHAMPOOS. Let us take a look at what we think are the Best shampoo for eczema 2018 in no particular order! or smelled ‘yucky’, according to her kids. This mom of six not only knows what kids like, but also knows what moms want for their kids. By using only natural ingredients and essential oils to make scents that children love, she created an easy system, complete with symbols for non-readers, so kids could learn how to take care of themselves. TruKid offers healthy, natural, steroid-free alternatives for babies and kids. TruKid helps keep kids happy and healthy, by creating products that soothe and protect sensitive and eczema skin. Organics products contain very potent Medical Grade Manuka Honey, and it is that component which sets us apart. We have an array of fabulous ingredients in our products and we match our products to your skin’s pH. This alone is amazing, but the honey is a true miracle. Manuka Honey comes from a specific group of bees that collect the pollen from the flowers of the Manuka bush (Leptospermum scoparium), also known as the tea tree bush, native to New Zealand. Honey has a long history as an effective natural ingredient for skin and hair health. The most effective honey in the world is the Manuka Honey that we use. Honeyskins natural and organic ingredients take the guesswork out of choosing a product. There aren’t any mystery compounds, just the building blocks supplied by nature. Its effective combo of coal tar solution with plant and herbal oils stops itching and flaking while conditioning your scalp and hair. 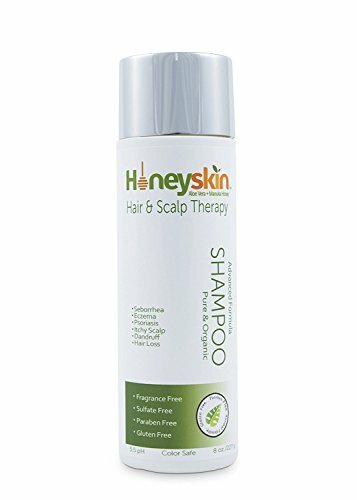 This powerful, yet gentle, shampoo rushes relief from the itching, scaling and scratching associated with dry scalp and conditions such as psoriasis and seborrheic dermatitis. Scalp 18’s long-lasting relief is pumped up by all-natural oil extracts rich in hydration and healing. We really love this shampoo and to be honest we find lots of ArtNatural products are really good for eczema and sensitive skin. Aveeno product is well known for producing a quality product and this shampoo is no different. It’s very gentle on your scalp and perfect for eczema sufferers. It can be used for children and Adults. Aveeno Baby Gentle Conditioning Shampoo blends natural wheat, oat, and vitamin E to gently cleanse and condition hair. Specially formulated for your baby’s delicate hair, this unique baby conditioner formula leaves hair soft, smooth, and easy to manage with a fresh, light fragrance. The allergy-tested formula is gentle enough for babies’ delicate hair. It’s tear free, soap free and paraben free. Gently cleanse your baby’s skin and hair with Aveeno Baby Wash & Shampoo, which features a gentle formula that gently cleanses without drying. For babies with sensitive skin, this tear-free formula gently cleanses without drying. Pediatrician-recommended, the formula contains natural oat extract, which is known to soothe and gently nourish delicate skin. The rich lathering formula rinses clean, leaving a light, fresh fragrance. This combination baby wash and shampoo is soap-free, hypoallergenic, and safe for daily use. 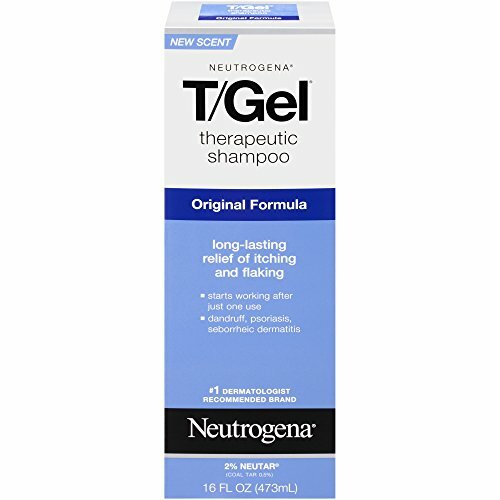 Neutrogena T/Gel Therapeutic Hair Care is a line of dermatologist-recommended shampoos formulated to treat itchy, flaky scalp. T/Gel products are strong enough to relieve itching and flaking for hours after rinsing, but gentle enough for everyday use. The complete T/Gel line of products offers different active ingredients and benefits to treat of all kinds of scalp symptoms. 74% of dermatologist recommend rotating shampoos to keep symptoms away longer than one ingredient alone, especially for severe scalp symptoms. Each ingredient works differently to help control scalp symptoms. Clear scalp buildup with salicylic acid. Parabens are bad!!! Always look in the ingredients for Parabens as they affect your skin in a bad way. Always try and go organic or natural if possible. We know this is hard, honest it’s a total nightmare trying to eradicate all chemicals so just be on your guard and try your best to reduce them wherever possible. Parabens are used to give items a longer shelf life and stop bacteria from growing within products which could make the person using them ill. If you see Methylparaben, Butylparaben, Propylparaben or Isoparaben in the ingredients then you’ll know that a particular product does contain parabens. The more you can avoid chemicals the more you will avoid irritation and prevent flare-ups, it’s not easy to get 100% Natural or Organic products but it’s worth trying to find them. Best shampoo for eczema 2018 has been written to try and give you an informed choice when considering purchasing a new shampoo for eczema. If you’re unsure you should always seek medical advice before trying anything new on eczema. We have used many shampoos over the years and have had some interesting results. Some shampoos that we thought would be perfect for eczema simple didn’t work for me or worked for a while and then started to make my head itch shortly after using them. Your body changes and eczema has a way of fighting back, just when you think you’ve found a great product to reduce eczema, eczema fights back and says ” No way I’m not having this” and once again you’re back looking for another product. It’s the same with moisturizers, I have used lots over the years. I seem to find one then a year later my skin says ” I’m not liking this anymore” Argggggh. When I was younger my Mother always made me use Thick Coal tar shampoo. It had a strong smell and I hated it, however, when I started to research this article it’s clear shampoos using coal tar have come a long way over the last 40 years or so. They now smell lovely and are not thick like I remember, We loved this one by Medicasp. It is really taking the world by storm especially in the US. We just had to put this in our review of the Best shampoo for eczema 2019. I used it for a week and have seen no side effects and my hair smelt nice and looked great. ( What I have left of it at 46 ) Ha Ha. We are currently trying it for our son and he likes the smell and feel of it, so far so good. Manuka Honey… Not heard of it? Read our article on Manuka Honey and Manuka oil here. Wild Ferns Manuka honey shampoo is another we have tested. 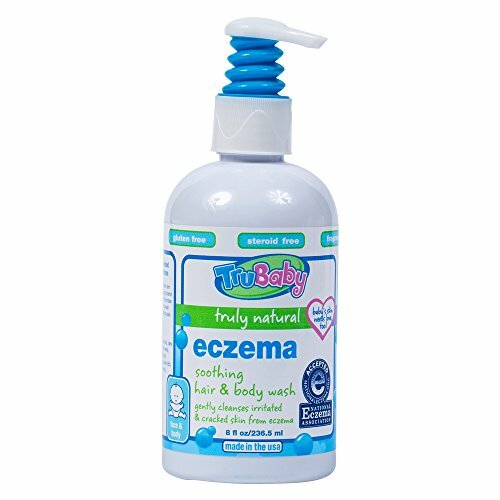 We asked a friend to try this whos daughter has suffered for the past 14 Years with eczema. This shampoo is Blended with Keratin derived from New Zealand sheep’s wool, deep cleansing Nettle and conditioning Rosemary, this shampoo functions to keep the hair fibers healthy and strong. This anti-aging shampoo and conditioner are formulated with premium certified Manuka Honey, scientifically proven to deliver antioxidants, proteins, vitamins, and minerals. Blended with hair strengthening Alfalfa, volumizing and repairing Wheat protein, this conditioner improves the overall texture and health of your hair without irritating your scalp and eczema. The initial impressions for this product are good, it smells great, a little seems to go a long way so it’s going to last a month or two and its leave your head itch free. Which is what we’re looking for at the end of the day.